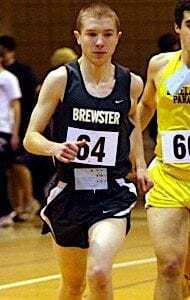 Adam McIe BREWSTER—The Brewster High indoor track and field team recently wrapped up another strong season. The Bears accomplished their goal of winning the league for a second straight year and had several outstanding individual performances a… Please login below or purchase a subscription to the Putnam County Courier to access this content. Justis Flamio MAHOPAC—The Mahopac High School wrestling team enjoyed a solid first season under coach Juan Torres, going 9-4 in dual meet competition and finishing in first place at the Super 16 Tournament. The Indians also made it to the semi-… Please login below or purchase a subscription to the Putnam County Courier to access this content. Mike Parisi BREWSTER—The Brewster High wrestling team enjoyed a solid season, going 14-8 and finishing in a tie for first place with Arlington in League 1-C. The team also had nine of its wrestlers go to sectionals, where four of them manage… Please login below or purchase a subscription to the Putnam County Courier to access this content. SOMERS—While both the girls and the boys of the Kennedy Catholic High winter track team won their respective league championships, they won it in two different ways. While the girls relied on a strong relay team and their runners, the boys fou… Please login below or purchase a subscription to the Putnam County Courier to access this content. 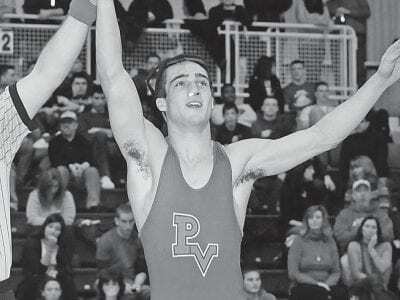 Dan O’Gorman PUTNAM VALLEY—Putnam Valley High School has only been a 9-12 school for five years. It’s a small school, so the sports programs have been taking small steps to get better every year, and the wrestling team is no differe… Please login below or purchase a subscription to the Putnam County Courier to access this content. 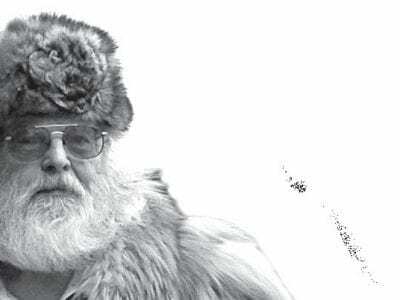 With all of our NYC Reservoirs and Protected Lakes, in Putnam and Westchester, open all year, it’s not such a big deal anymore, but the April 1 opening of New York’s trout season does offer an opportunity to fish brooks, streams, … Please login below or purchase a subscription to the Putnam County Courier to access this content. North Salem Middle School faculty, staff, and students are strutting their stuff this week after the NYS Education Department designated the school as a 2010 Essential Elements School to Watch. The school that educates children residing in sectio… Please login below or purchase a subscription to the Putnam County Courier to access this content. If you read any of these books*, submit a short book review, 300 words or fewer, for publication in the Courier. Please send submissions to courier@pcnr.com. Look for more recommendations in the future. KiNDERGARTEN Wind in the Willows by Kenne… Please login below or purchase a subscription to the Putnam County Courier to access this content. 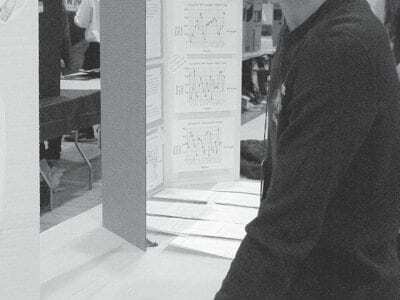 Michael Marsich’s project deals with “Doorbells aiding the Blind and Deaf.” The 12-year-old Carmel boy rigged his doorbell with a six volt battery that vibrated and i l luminated when the doorbel l was rung. The Secret of Learning,… Please login below or purchase a subscription to the Putnam County Courier to access this content.